Marseille is the second largest city in France, and the country’s busiest port at the Mediterranean, but this is no seaside copy of the capital – Marseille has a personality of its own, and a very obvious one at that. 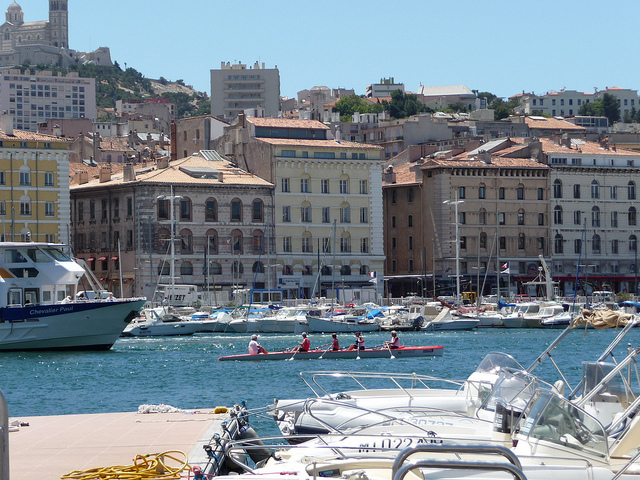 Marseille has been a port for millennia: it was founded in 600 BC as a Greek colony, and it hasn’t stopped being a port since then. Marseille is infused with a typically Mediterranean joy of living, French poise and sense of style, and the warmth of North Africa. 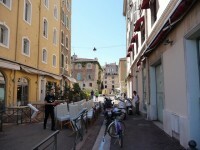 From a tourist’s point of view, Marseille is the kind of city where few people would mind getting lost. Vibrant, colorful and multicultural, this city is one of France’s finest, so we bring you a traveler’s guide to Marseille that might be helpful during your visit. Marseille is a huge city, not too far behind Paris in terms of size and population, but and thankfully it also has a metro system that is e actually easier to navigate than the one in Paris. The Marseille Metro network has only two lines, one connecting Place Castellane to La Timone, and another linking Bougainville to Sainte-Marguerite Dromel. The metro, combined with the tramway and bus services makes public transport in Marseille fairly easy, although far from cheap. Buy multi-journey tickets to save money on transport. Marseille is an excellent city for biking, thanks to a well developed bike rental system and bicycle paths can be found along all major routes. One of the greatest joys of visiting Marseille is enjoying the variety of seafood that’s available at almost every restaurant. Provencal cuisine reigns supreme in Marseille, with specialties such as the famed Bouillabaisse (a thick and heavy soup made with fish and seafood), available at fancy restaurants and simple restos as well. 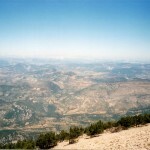 Budget options include mostly kebab places, and couscous restaurants, which serve great North African food – you can find them along Cours Belsunce. 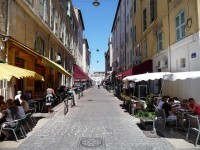 The pedestrian Cours Julien is lined with various restaurants that have good value for money and lovely terraces. 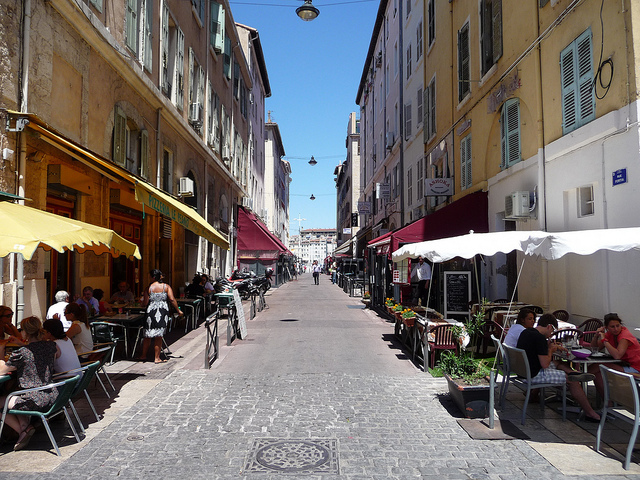 If you want to splurge, there’s nothing to stop you – there are quite a few fine dining establishments in Marseille. The city might not be France’s food capital, but restaurants like Le Petit Nice Passédat (three Michelin stars) and La Table du Fort will satisfy the pickiest foodies. 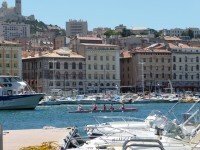 With thousands of years of history behind it, Marseille is an intensely historical city. The old harbor is perhaps the most idyllic and unique attraction in Marseille, where fishermen are still selling their catch every morning without fail. 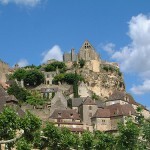 There are several churches and cathedrals that are definitely worth seeing, but one thing that all visitors should do is take a long walk in the old parts of the city. Cours Julien, la Corniche, Place Castellane and Boulevard Longchamp are simply magnificent.